Fly to Dubai with return flights from S$580. 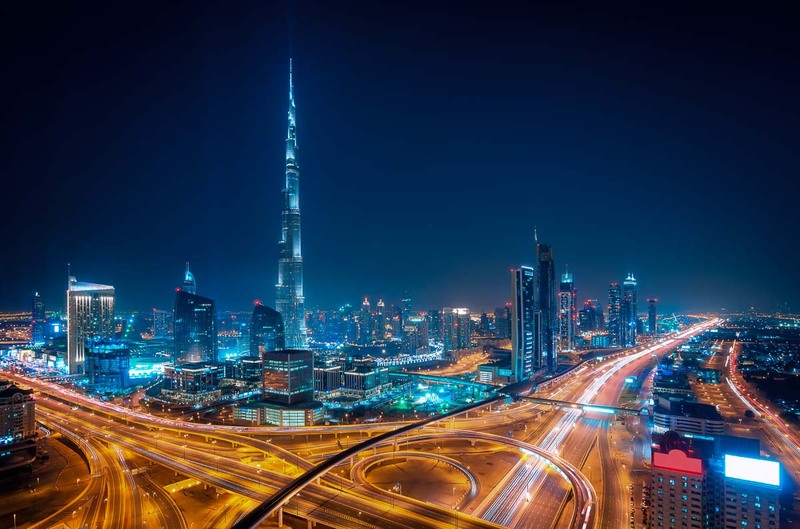 Dubai is known for many things; having the tallest building in the world, being one of the best sky diving spots in the world, and its mall — the largest in the world. It’s also often overlooked as a stopover destination and most only get to experience its airport on the way to Europe. For us, we were en-route to Norway and decided to spend a little more than a few hours to explore beyond Dubai’s airport. To us, it was like a pre-trip for our trip and it turned out to be one epic stopover experience! Why have one holiday when you can have two right? 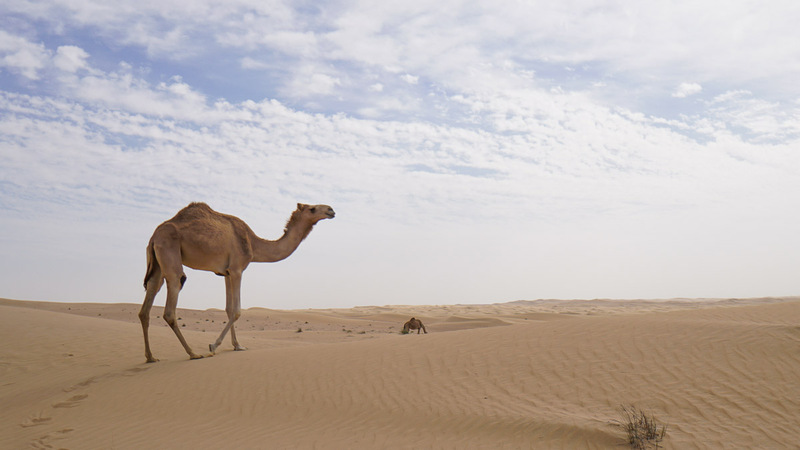 So if you get the chance to stop by Dubai next time, here’s what you can do in 48 hours. Flight: Dubai is about 7-8 hours away from Singapore so grab a midnight flight and catch some shuteye. We took the 1:20AM Emirates flight which arrived in Dubai at 4:50AM (Dubai time) just in time to catch the sunrise. Check out our full review on the Emirates experience! 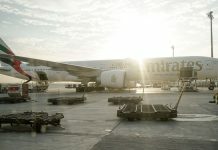 3G SIM Card: Stay connected by pre-booking your SIM Card and collecting at Dubai’s airport upon arrival. SIM Card packages range from 200MB – 3GB and is valid for 1 month so you’ll still be able to use it on your return. Best times to visit: November to March are popular months to visit Dubai because of the pleasant weather that averages around 25°C in the day and 16°C at night. The summer months between April and October can have temperatures going up to 50°C but if you’re around at this time, you’ll find accommodation rates a lot cheaper and the tourist spots a lot emptier. 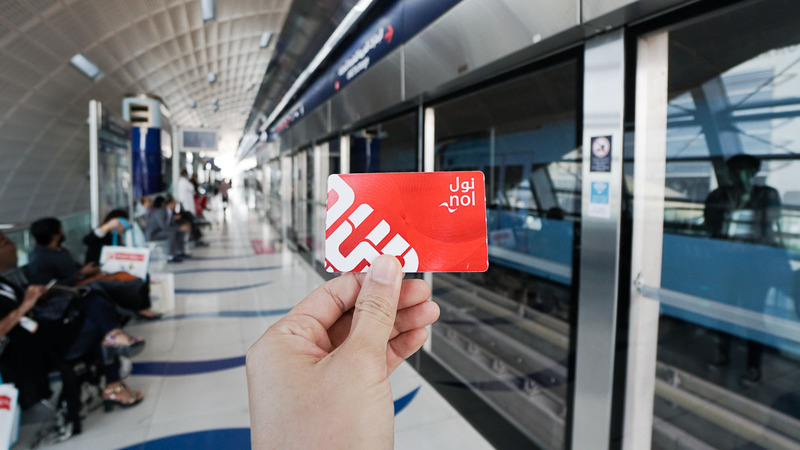 *Getting around: Purchase a 1 day nol pass at the metro station for AED22 (~S$7). This gives you unlimited rides on the metro (across all zones), buses as well as trams. 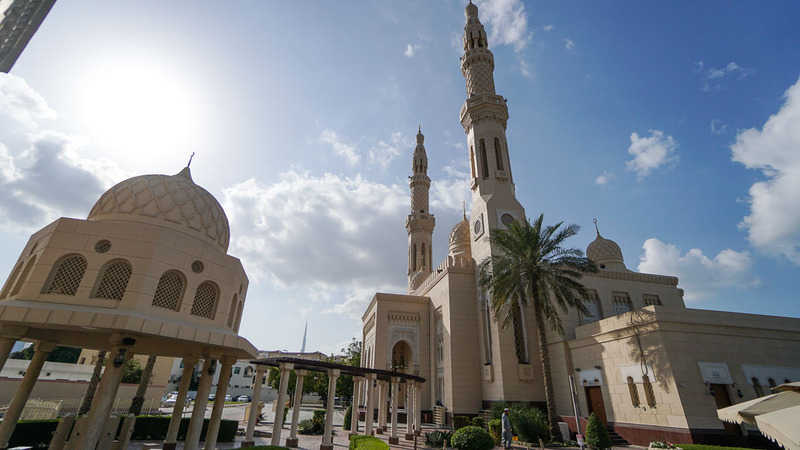 One of the most photographed mosque in Dubai, this 1976 mosque is a mix of styles originating from Egypt and Syria. 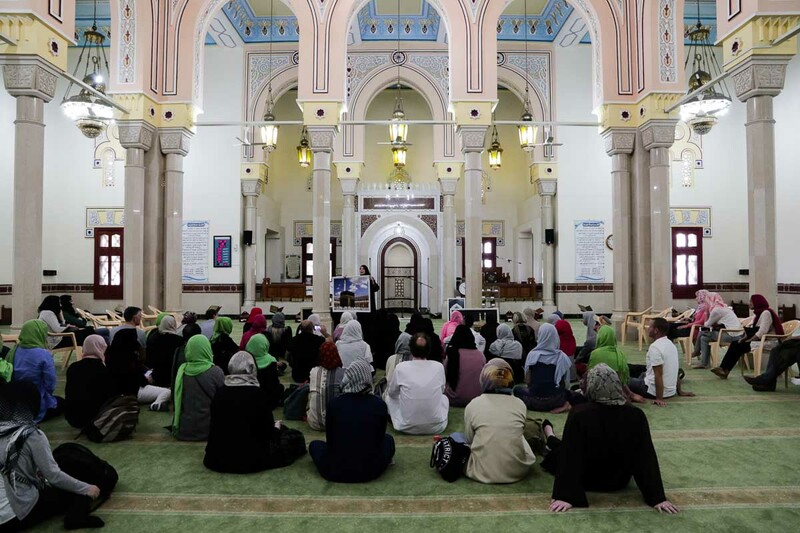 Run by the Sheikh Mohammed Centre for Cultural Understanding (SMCCU), the Jumeirah Mosque is the only one in the country that openly welcomes non-muslims into its compounds. The daily tour, which begins at 10AM, was one of the most impressive religious tours I’ve ever come across. From covering the traditional aspects to interesting fun facts, it was an educational 75-minute tour. What I found most meaningful was that the session was entirely led by a British woman who wasn’t in fact born into the religion. Her wit and openness with sharing her experiences and answering questions ranging from stereotypical to personal kept an entire hall of non-Muslim audience engaged and interested throughout the entire session. *Modest dressing is required for both males and females but you can borrow the traditional attires and head scarves otherwise. Be sure to have a light lunch if you’re planning on skydiving later in the day! We stopped by Man’oushe Street — a casual 24-hour franchise that serves decent hummus and wraps. 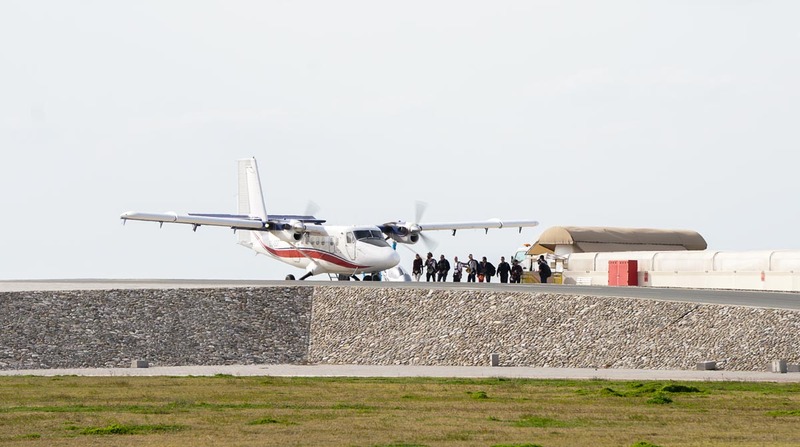 While flying through the skies at 120 miles an hour is exciting enough for some, what makes the sky diving experience extra special is the birds eye view you get. 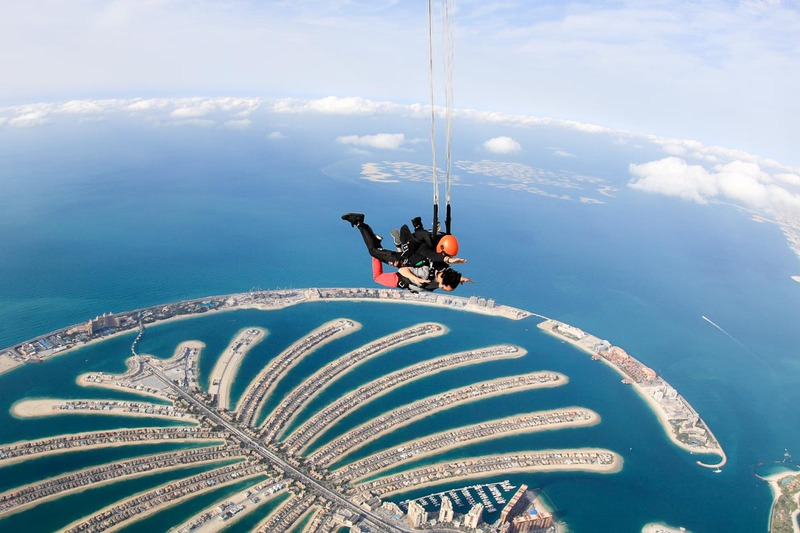 And because of the epic man-made Palm Jumeirah islands, Skydive Dubai has been rated one of the best places to sky dive! 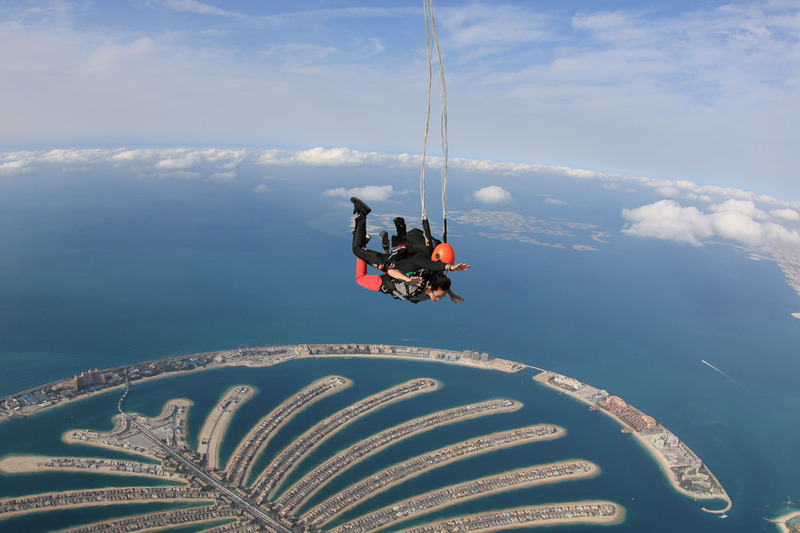 There are two options for the tandem skydiving experience: land on the desert for AED 1699 or at the Palm for AED 2199. 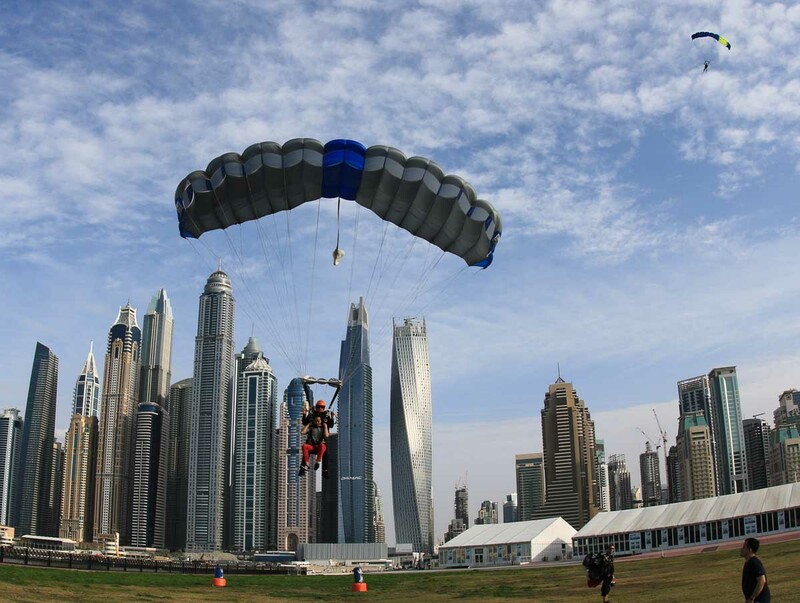 It’s a lot pricier than skydiving in other countries but if you’re in Dubai and it’s on your bucket list, be sure not to let this opportunity pass! 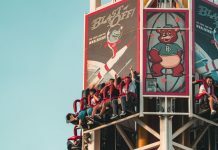 The price also includes digital photos and an edited video shot by a separate skydiver so you can get that epic shot of the palm beneath you. Be sure to book a date and check-in time to secure your spot! How to get there: Take the Red line to Damac Properties and take 1 stop on the T1 Tram to Marina Towers. Perhaps one of the most iconic buildings in Dubai, a night at this hotel can rake up to S$4,000 a night. With chauffeurs driving Rolls-Royce to helicopter trips from its private helipad, the Burj Al Arab is indeed an icon of luxury and modernity. 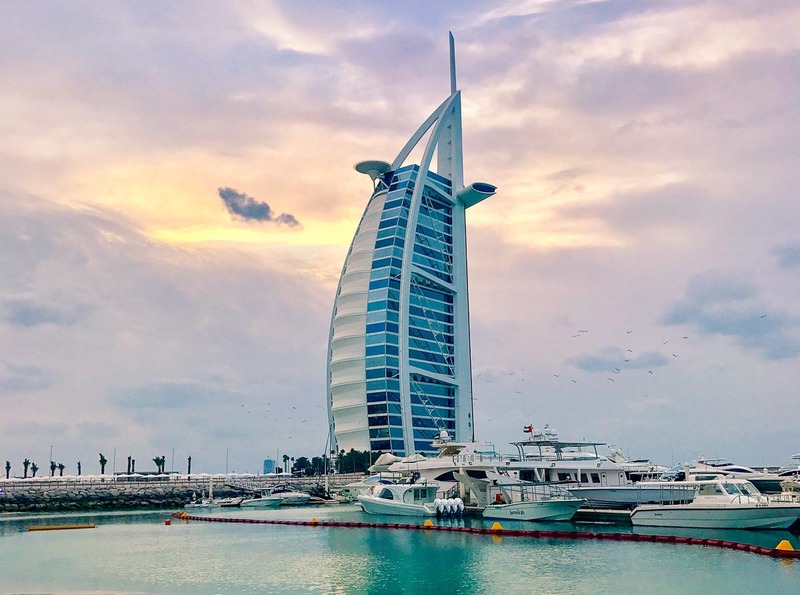 While experiencing a night in Burj Al Arab is far out of our reach, the hotel is set for a postcard perfect shot — one you can bring home and dream of until you can afford a night here. 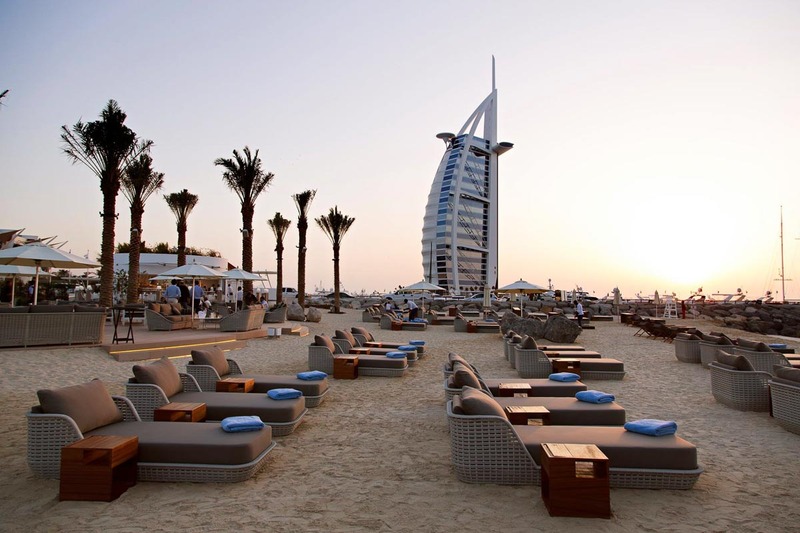 Drop by Cove Beach Dubai for some pre-dinner drinks and enjoy the perfect vantage point of the Burj Al Arab. How to get there: Take bus 8 from the Royal Meridian 2 bus stop and get off at Burj Al Arab Hotel. With over 1,200 retailers, the Dubai Mall is currently the largest in the world (by total area). Craving for any cuisines? You can probably satisfy your appetite here. 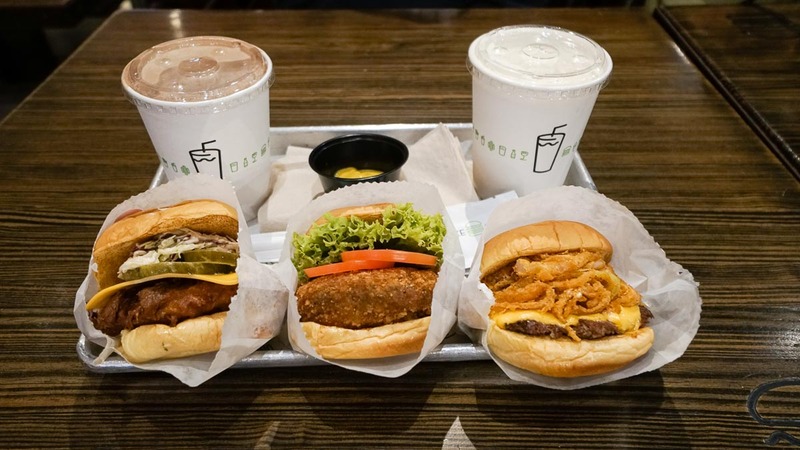 For us, we very quickly spotted and decided on Shake Shack for dinner! 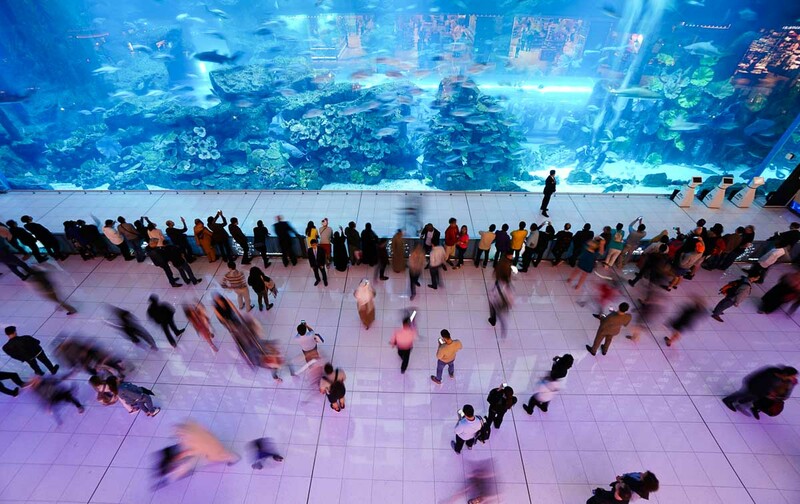 Dinning and shopping aside, what stands out most is its 10million-litre aquarium found on the ground floor of the mall. You can pay to enter the tunnel and explore the underwater zoo, but just staring at the two-storey tank from the outside was enough to keep us as fascinated as the kid next to us. Housing an amazing variety of sea-life, you can find various breeds of sharks, stingrays, fishes. If you own a PADI license, you can even sign up for one of their interesting specialty dives. 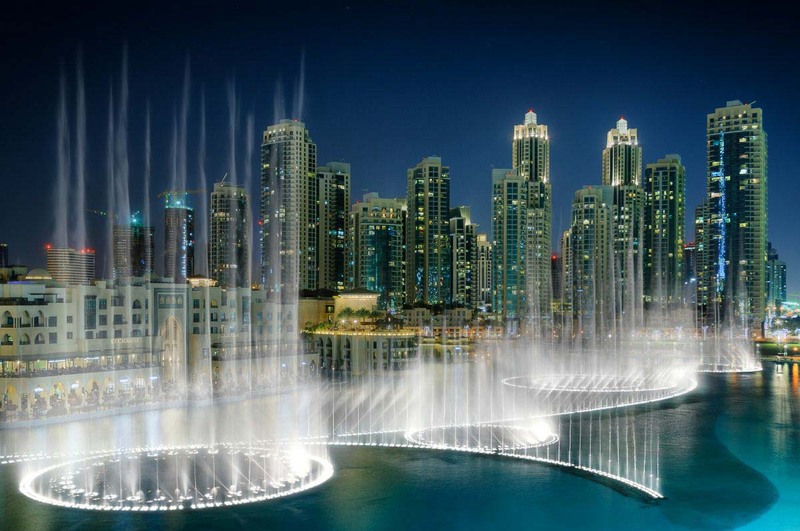 For post dinner entertainment, check out the Dubai fountain and catch a show which starts every half an hour from 5PM – 11PM everyday (unless there’s an event like the passing of someone important). How to get there: Walk to Mall of the Emirates and take the Red line to Burj Khalifa/Dubai Mall station. From the station, it’s a pretty long 2.7km walk to the mall itself so factor in enough time for this. Right next to the Dubai Mall is the world’s tallest skyscraper — the Burj Khalifa (named after the current president of the UAE). Depending on the weather, you might even see a portion of the building lost in the clouds. For the best unobstructed, panoramic view of Dubai city, head up to the observation deck on the 124th floor (At The Top). You’ll need to pre-book your tickets, especially if you want to catch the view over sunset (4PM–6PM). Fun fact: The top 27 tiers of the building is cleaned by an unmanned machine designed in Australia and cost AU$8 million!! *Pro-tip: Book your Burj Khalifa tickets early to skip the lines and secure your time slot! No printout required. 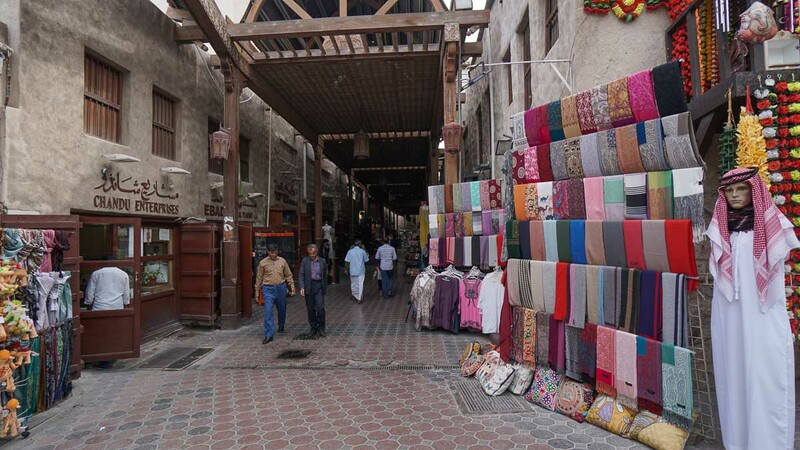 Today’s Dubai may be famous for its largest, tallest and most epic buildings but the soul of the country still lies in the old Souks. 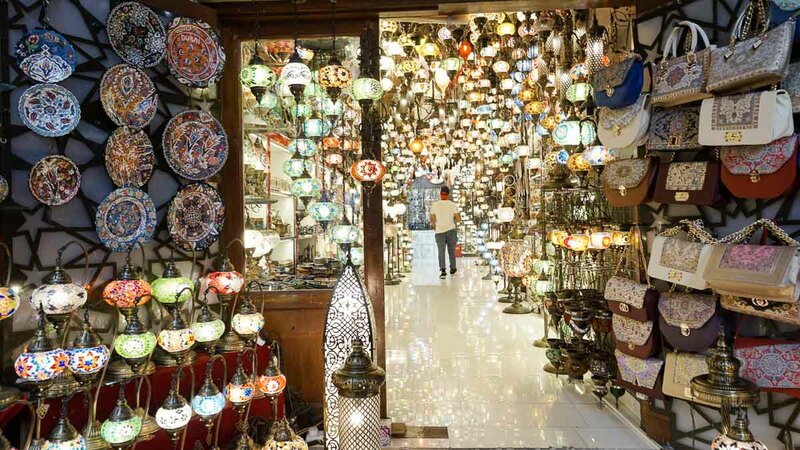 Explore the old alley ways lined with stalls selling gold, textiles and spices. 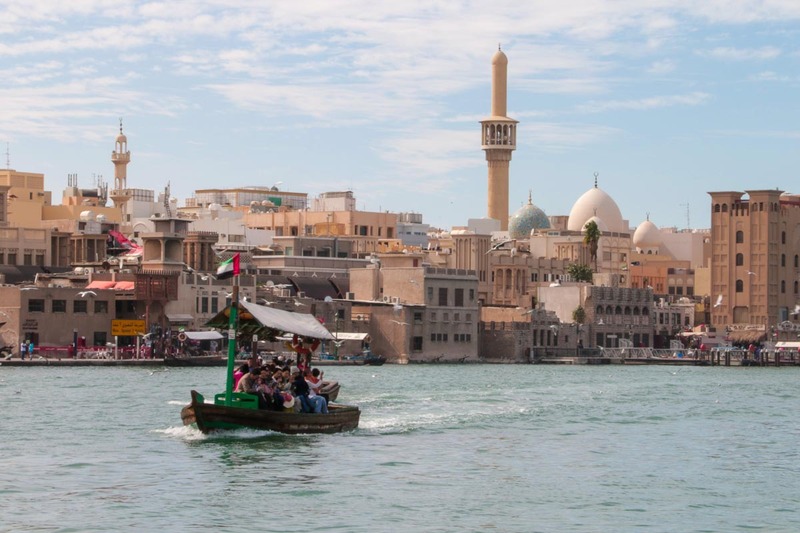 When you’re done walking through the alleys, take an abra (an old wooden boat) across the Dubai Creek to enjoy the views. 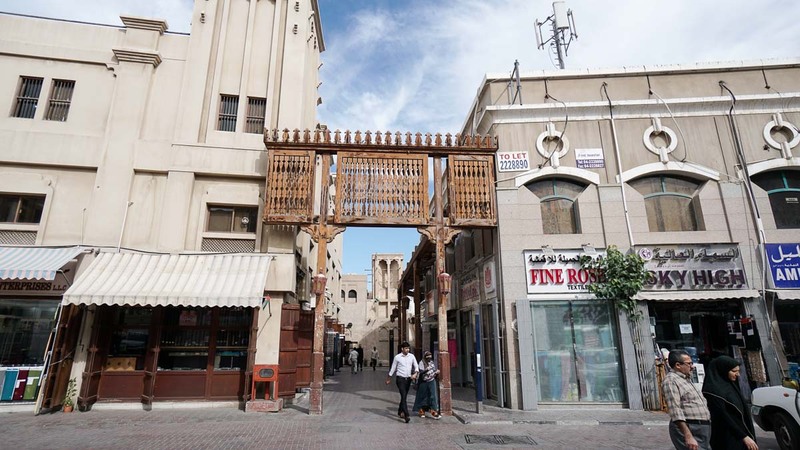 The best part is that it’s only AED1 to travel between Bur Dubai and Deira Old Souq station. This turned out to be my favourite part of the entire 48 hours in Dubai! 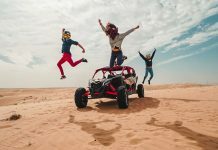 Arabian Adventures is one of the most reputable desert safari operators in Dubai and you can sign up for a range of experiences through them. Each tour includes pick up and drop off from your hotel and the guides speak excellent English! We hear that in the peak season, their camp can entertain up to 800 people a day! 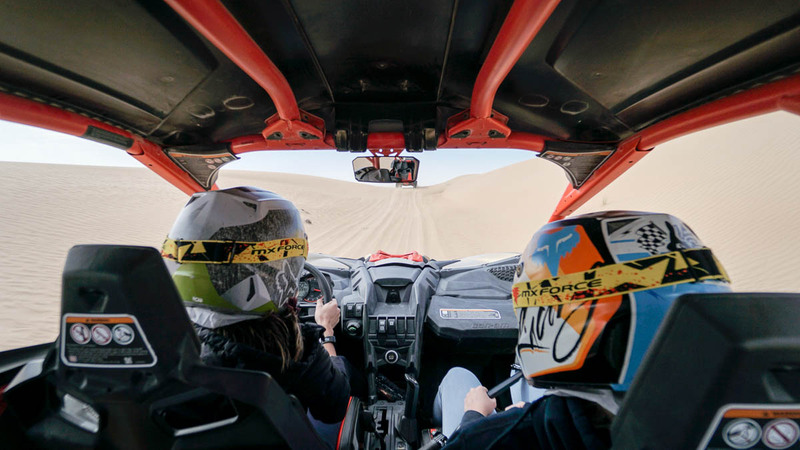 We signed up for two experiences, the Desert Dune Buggy Driver Experience and the Sunset Dune Dinner Safari. Both of which were huge highlights in our Dubai experience. 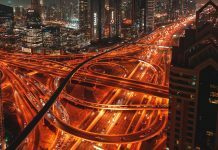 There are two options, the passenger experience (from AED 315/pax) and the driver experience (from AED 730/pax) — you’ll need a driving license for the latter. Both are pretty exhilarating but if you have the means to, I’d highly highly recommend the driver experience. 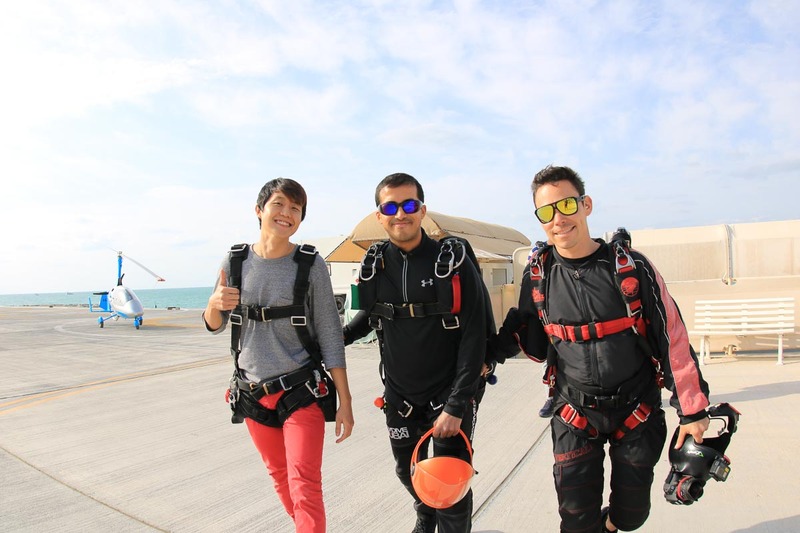 Skydiving may sound more epic but unless you’ve mastered how to skydive on your own, being in the driver’s seat really brings on a whole level of adrenaline rush! The road starts off pretty straightforward until you’re used to the controls but once the guide leads you into the sand dunes, that’s where the fun really begins. The vehicle is pretty safe with seat belts and roll cages but there’s this constant feeling like you’re about to topple over sideways. Sometimes the dunes are so steep you won’t be able to see what’s in front so each drop comes as a surprise. The entire drive is about 40 – 60 minutes long and you’ll be pulsing with adrenaline by the end of it. 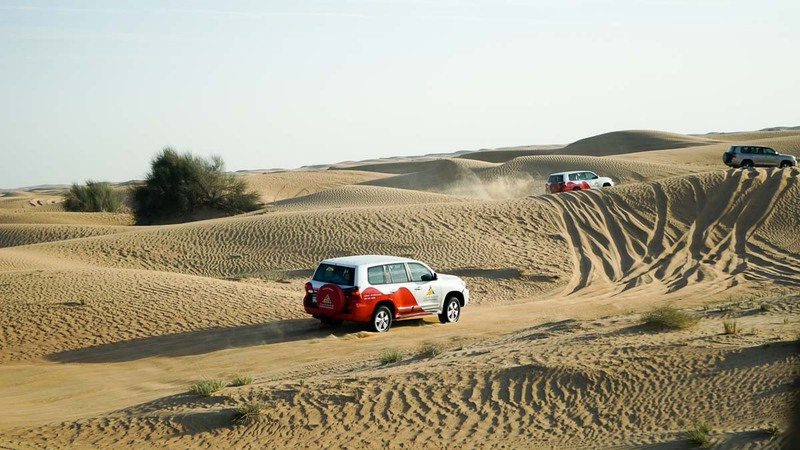 This next part of the experience can be signed up for separately under the Sunset dune dinner safari tour (AED 289) which will include pick up and drop off at your hotel in Dubai. 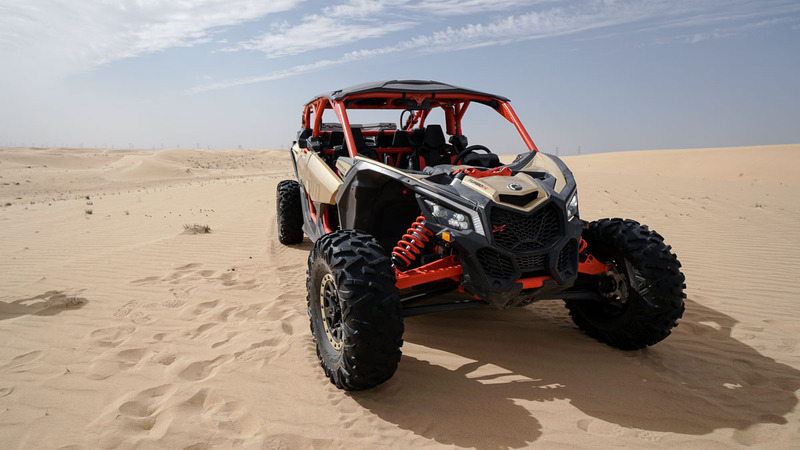 But if you’re like us, you can contact Arabian Adventures via email to arrange for a pick up from the dune buggy spot. 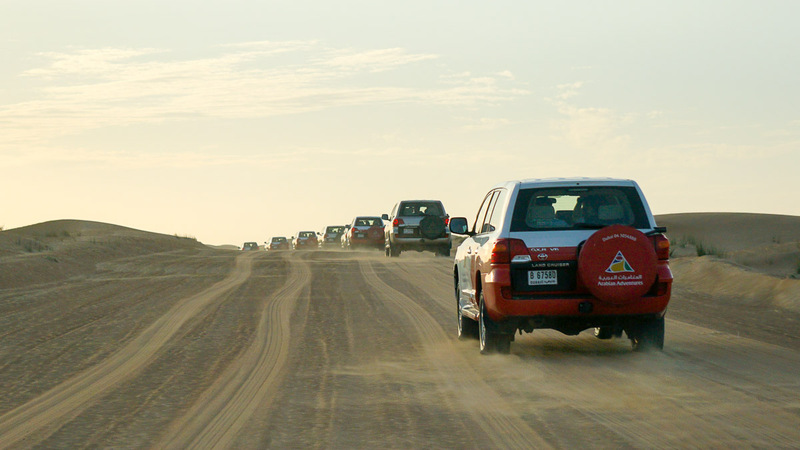 The tour starts off with an epic ride on a 4-wheel drive over the sand dunes; this time driven by a professional guide. Depending on your company in the car, the guide can either go at max speeds or adjust for those who are prone to motion sickness. This time, the dunes are a lot higher and the driver steered pretty sharp curves we didn’t dare to on the dune buggy. On the other end of the trail, a short falcon show awaits. 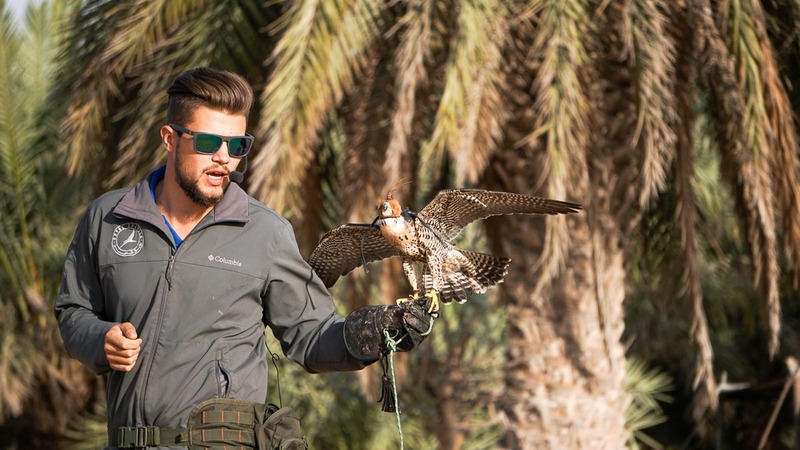 The falcon is the national symbol of the UAE and what the Bedouins used as a weapon to hunt for food in the desert. When the show ends, you hop back into your 4-wheel drive and while the dunes aren’t as exciting as the first part, it’s still quite a ride. 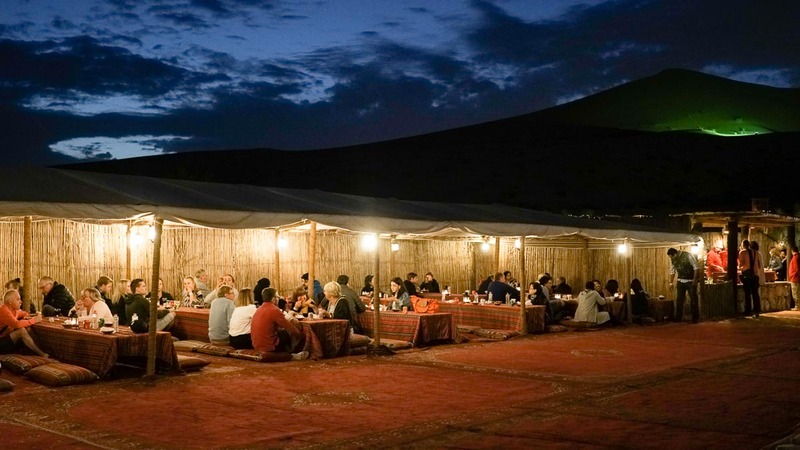 The last part of the tour ends at a cosy Bedouin style campsite. 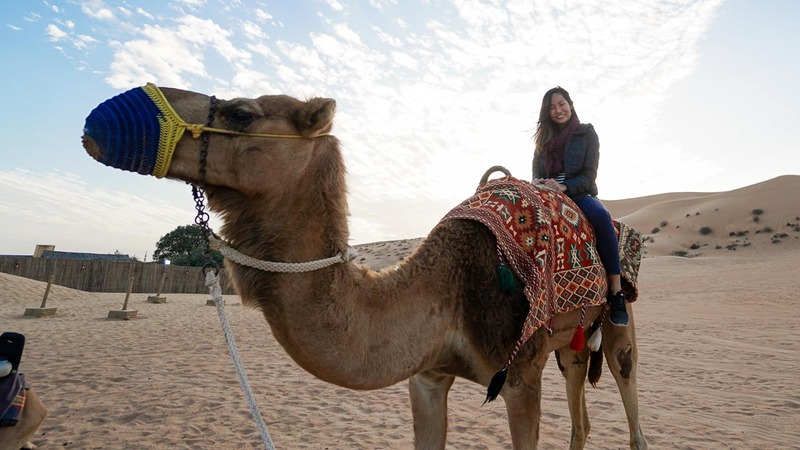 The campsite itself has a whole set of pre-dinner activities to keep you entertained, but before entering the camp, take the opportunity to ride on a camel or glide down the sand dunes on sand boards provided (both included in the tour and at no extra cost). 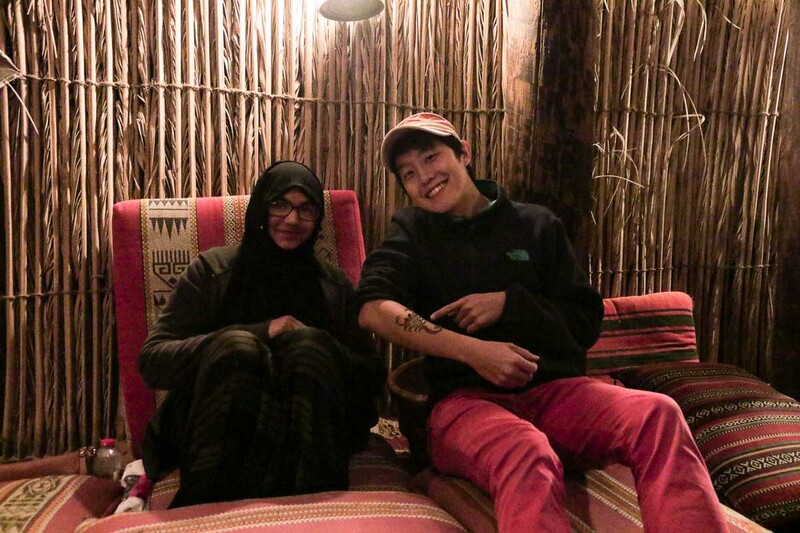 Inside the camp, get your arm henna painted (even the guys!) 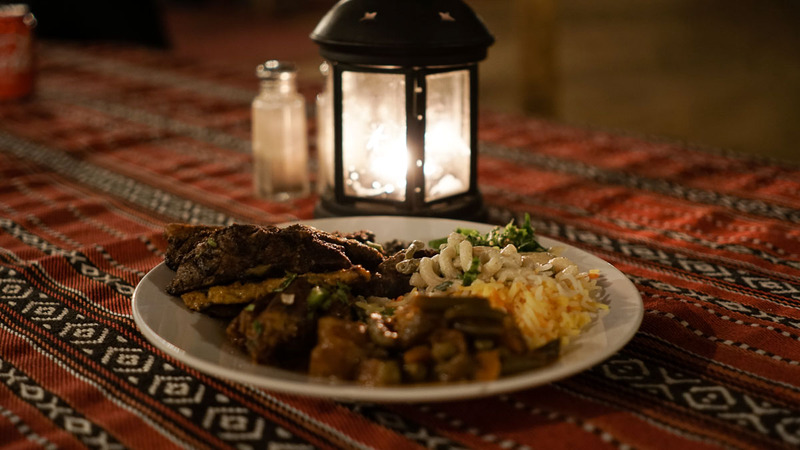 or relax with Shisha and a free flow of alcoholic beverages before settling for dinner. 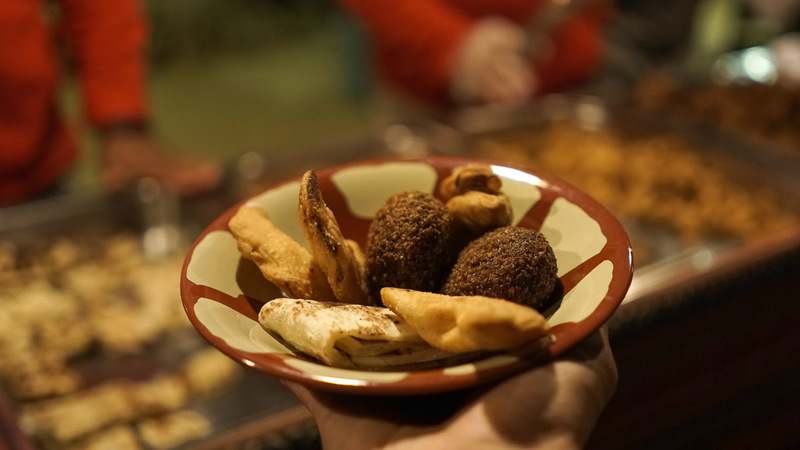 For dinner, a buffet style of Arabian dishes are served while you enjoy a belly dance show. Before everything wraps up, the camp switches off the lights for a couple of minutes for guests to enjoy a bit of star gazing. As we were sitting in the darkness for the last couple of minutes, I thought of how fortunate we were to experience the modern, the old and the beautiful au naturale side of Dubai in the last 48 hours. 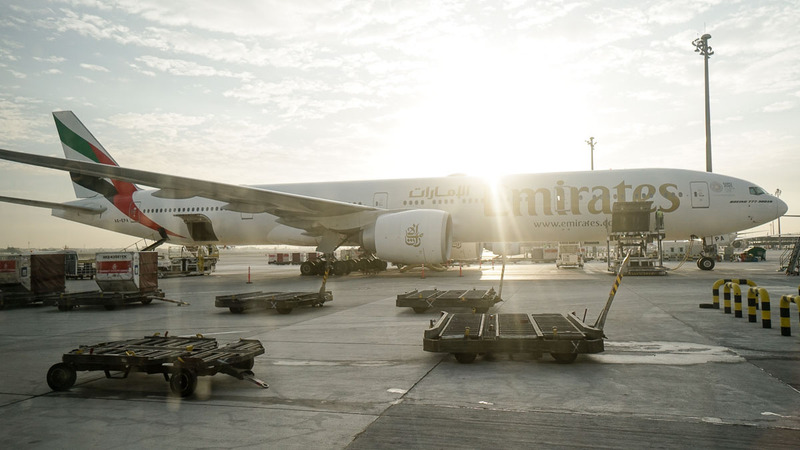 Emirates operates more than 500 flights daily that connect Dubai to the world, and the world through Dubai – the airlines’ home and a convenient gateway to the Middle East, Far East, Australia, Asia, Africa, Europe, the USA, South America and the Indian sub-continent. There are 4 direct flights from Singapore to Dubai, two on the B777 and the other two on the A380. After experiencing both, we’ve finally understood the love for A380 flights. If you’re a fan of the A380 flights too, try to go for the overnight flights that leave Singapore at 9PM or 1:20AM and arrive in Dubai at 1AM or 4:50AM respectively. While the ideal situation was that we would clock in a good 7 hours of rest before arriving, the only downside was how glued we were to the inflight entertainment system. For a start, have you seen inflight entertainment screens that fill up the entire headrest? You probably have if you’ve been on Emirates. The ice entertainment system has over 3000 channels, a wide selection of movies, documentaries, and games, an up to date playlist of music and even live streaming! It’s not hard to guess we ended having a lot less sleep than we had planned for. 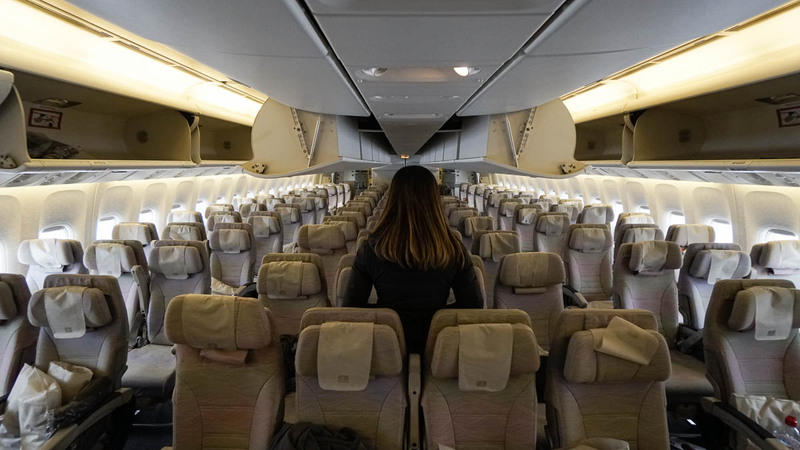 Check out our Emirates Economy Class Review to read up on the full Emirates experience. This post was brought to you by Emirates. what a great article !! reading it feels me so exciting that i was feeling i was living in there, what a wonderful place , everyone who want some adventure should visit once… thanks author for sharing the great article. One of the best articles ever read. You are just inspiring me to travel more and get known to the places and explore it. The Travel Intern is teaching me alot of things which we need to considerate while travelling and getting us known to the world. Thank you THE TRAVEL INTERN for inspiring us and such an amazing blog. Dubai has something special which attracts me. During holidays I prefer to visit Dubai.